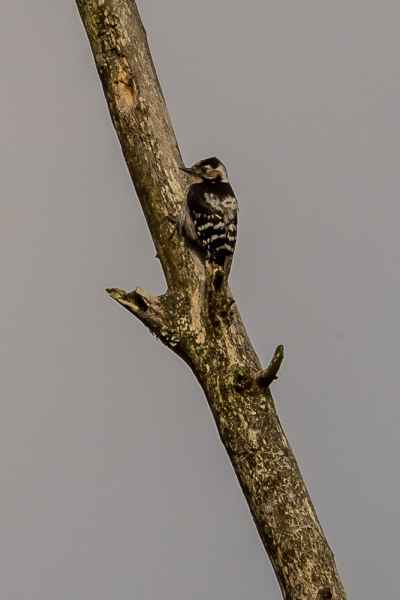 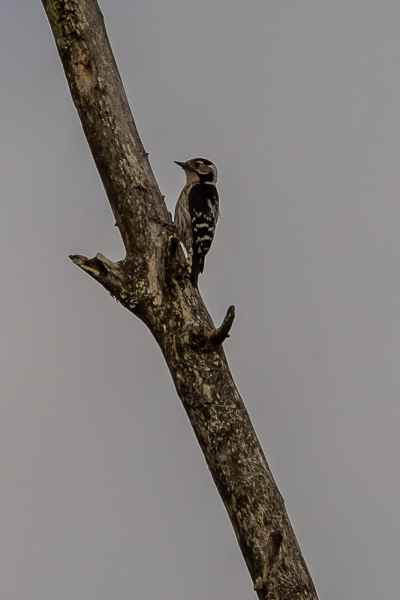 A very small Woodpecker, hardly bigger than a Sparrow, and easily overlooked on account of this. 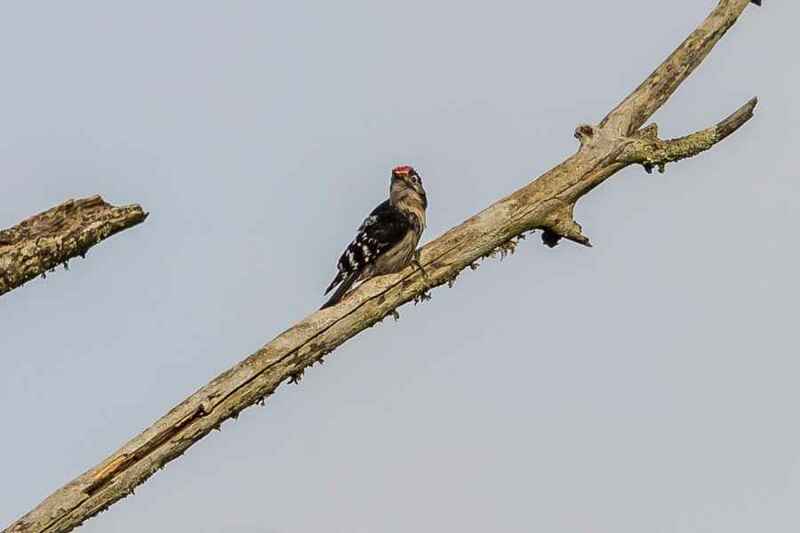 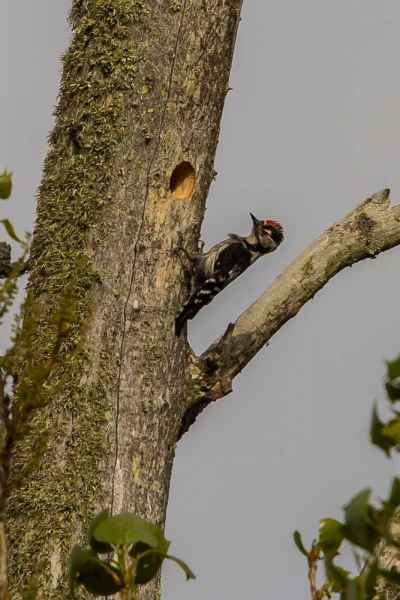 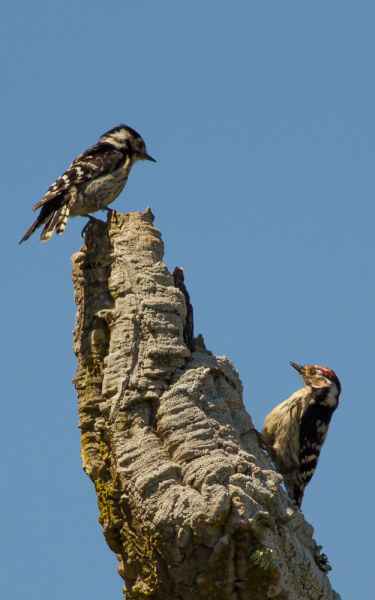 Only the male Lesser Spotted Woodpecker has a red crown and both sexes lack red on vent. 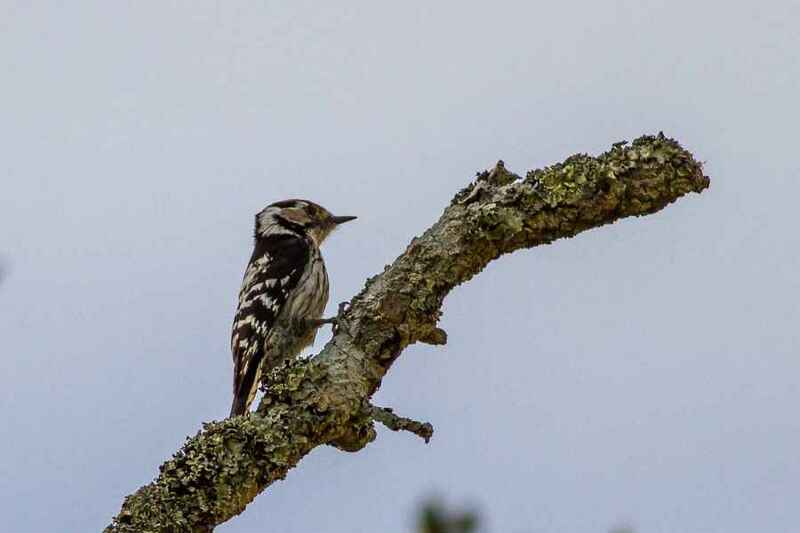 An uncommon species in Portugal, but we're lucky enough to have them occasionally in the garden as they like being near water.